The place for Triumph owners in the Liverpool region. 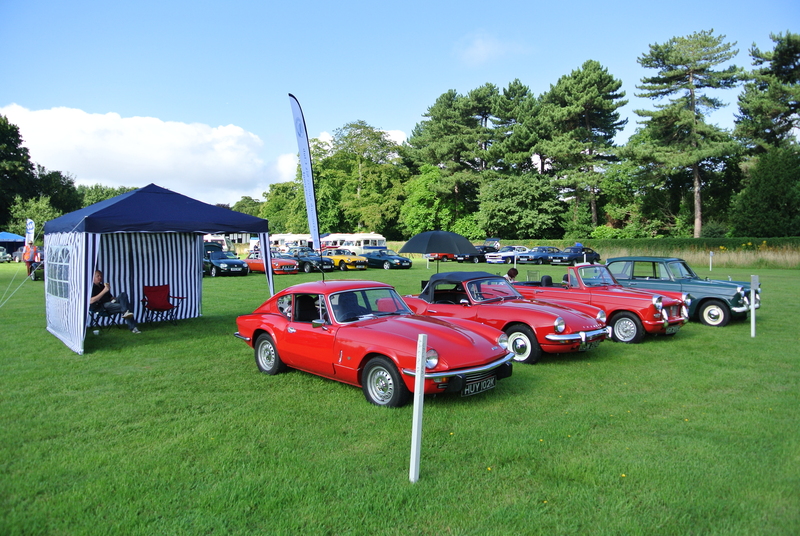 The Federation of British Historic Vehicle Clubs ‘Drive It Day’ takes place every year to help raise awareness of the large and important extent of the classic vehicle movement in the UK. Taking place on Sunday April 24th, Triumph Liverpool will be completing a circuit of the City of Liverpool. Meeting at William Brown Street at 11am, we will head south, stopping at the site of the former Triumph Factory in Speke (cameras at the ready! ), and Starbucks for coffee. We will travel north to Crosby Marina, no doubt partaking in much eating of ice cream, before driving to Liverpool Waterfront for more photos and more coffee! The drive should last around 3-3.5 hours, but we’ll be in no hurry! We have a new banner! It’s that time of the year when we all have to cough-up the extortionate amount of £5 for membership subscriptions. All of our funds go towards the purchase of tools and equipment that are freely available for all members to use on their cars. We are currently looking into purchasing marketing and promotional materials, especially those to help with our visibility at shows and events. Entries are now open for the Woodvale Rally on June 20th/21st. At our next meeting (April 7th) we’ll be taking numbers in order to send in our entry. The fee is £5 per car, with us planning to attend on Sunday 21st. Flush with funds from our “Best Club Stand” win at Woodvale, we have finally invested in a gazebo. Making it’s debut at the Speke Hall Vintage Festival, it performed admirably, keeping the sun off our heads. More pressing tests and stresses will no doubt be around the corner, usually on a Bank Holiday.